I first came across this plant in a village communal garden and was instantly in love with it. 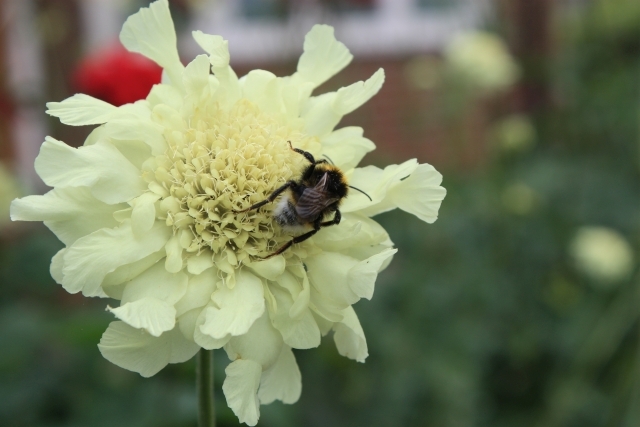 The classic pin cushion flower head which is a ‘must-have’ for pollinators is absolutely beautiful. Typically pale yellow flower heads held up high on tall stems, this is an abundant cottage garden classic. Cephalaria gigantea (Giant scabious) will reach a height of 2.5m and a spread of 1m after 2-5 years. 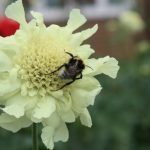 Beds and borders, Cottage/Informal, Flower Arranging, Wildlife. Plant in fertile, moist but well-drained soil in sun or partial shade. Needs staking in exposed gardens. Chalky, Loamy, Sandy, Clay (will tolerate most soil types). PreviousA courtyard garden in need of a planting plan..